So many wines, so many wineries, yet I can’t think of a winery (at least none immediately come to mind) that doesn't make at least one label that I've enjoyed. On the other hand, it’s a challenge to think of a domestic winery whose entire portfolio of wine is pleasing to both the wallet and the lips. But Alexander Valley Vineyards comes to mind immediately in meeting that challenge. And that’s particularly impressive given the size of their portfolio. I poured several of their wines at a Waterleaf event some years ago in Glen Ellyn (IL., not Sonoma) and visited the winery last October. 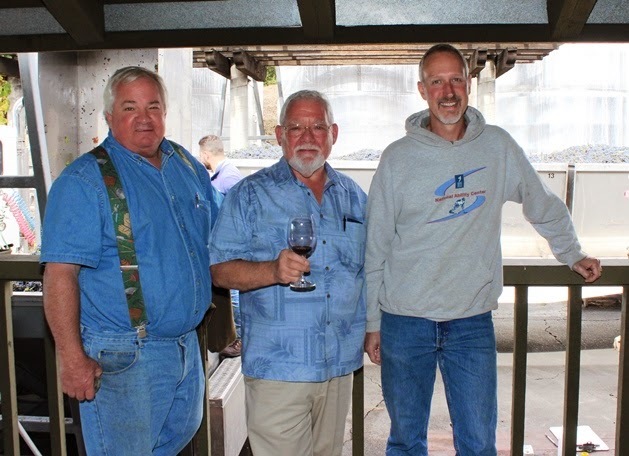 Tasting their wines again and since – not just a few or several, all but two of them – reinforced my initial impression that this winery vinified a formula for standards of quality fortified with value. A good example is their 2013 estate Chardonnay. 70% of the grapes are harvested at night when grapes are cool. They’re cold fermented in temperature controlled stainless steel without any barrel aging or allowed to undergo malolactic fermentation. Resulting juice is fresh, clean and fruity with citrus and green apple flavors. 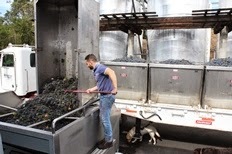 But to balance the wine, 30% of their best grapes are whole cluster pressed instead of being sent through a de-stemmer. It’s slower, more costly and juice yields are a little lower. And this method develops fewer tannins by limiting exposure to oxygen. This juice is aged in French oak between 6-8 months and aged on the spent yeast cells (lees). The result is a richer mouth feel, with rounder flavors of apple, pear, peach and apricot. Finally, blending the two is its own art. In 2012, the wine was 100% Chardonnay, in 2013 it was blended with 1.4% Viognier. with a glass of my beloved "Cyrus." I brought you through this travelogue to help you appreciate the expense involved in such detail. Is such attention to detail and expense common with every Chardonnay made? Well, in some vineyards, yes and in others – no. Have I ever had a better Chardonnay? Of course, or so I think. I've enjoyed a few white Burgundies, for example, that just seem to be where my preference resides. Since tasting is impacted by one’s cultural history, experiences and prejudices, “better” is always partly subjective. But that preference is also expensive and not one I regularly indulge. What impresses and makes me happy is the quality of AlexanderValley Vineyard’s Chardonnay at its price level. Wine Advocate put it bluntly: “This well made Chardonnay is a steal at $18 a bottle.” So the better framed question would be, “Have I had a better Chardonnay at that price?” and that question becomes more difficult to answer. Pricing is its own art and influenced by too many factors to explore in detail here. But Hank Wetzel (owner) mentioned that the land had been paid off years ago and certainly that helps. Whatever the reasons, what is important for us as consumers is being able to enjoy that ratio of quality to price. 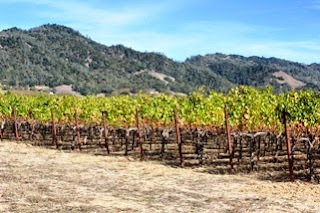 And that price to value ratio is evident throughout Alexander Valley Vineyard’s portfolio. At the upper end is Alexander Valley Vineyard’s “Cyrus,” a Bordeaux like red blend which retails for about $60. 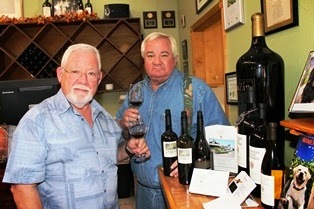 I enjoyed tasting the 2010 which earned 92 points from Wine Enthusiast. Bordered by the Russian River and the Mayacamas Mountains, estate grown grapes used in this blend enjoy warm days and cool evenings. Selected, barrel aged lots of 51% Cabernet Sauvignon, 26% Merlot, 18% Cabernet Franc, 3% Petite Verdot and 2% Malbec were used in the blend. All enjoyed 100% French Oak with the exception of the Merlot, which was aged in equal amounts of both French and American oak. The blended wine was then barrel aged an additional 12 months in French Oak and bottle aged another 8 months. It’s no surprise that the wine offers cassis, plum, toasty oak and vanilla with berry notes and hints of dark fruit, spice and cocoa. The surprise is the manner in which it is presented: Like a symphony in which many instruments blend together, the whole of this wine is so much better than its parts. Notes are balanced and harmonious. The wine is complex, structured and tastes higher – considerably higher – than priced (but don’t tell them). Delicious now, it will only get better with age. En route toward “Cyrus,” stop and visit the suburb of Zinfandel: “Temptation” ($12) “Sin Zin” ($20) and “Redemption” ($22). If your sins have been grievous, you may need the “Alexander School Reserve.” From a single hillside with old vines (50 years), wine for this limited production Zin is aged in oak barrels for twenty-four months. At $40 for the standard 750ml bottle, that’s some kind of rent control. there is a $10 Gewürztraminer, a dry rose of Sangiovese ($14) and a richer, creamier more vanilla style Chardonnay (2013 “Reserve Chardonnay”) at $35 and available at the winery only (a good reason to include AVV in any wine vacation). Pricing is its own art and no question – it influences consumer choices. But pricing alone is not reason enough to select a wine; certainly not a wine you don’t enjoy. Visiting Alexander Valley Vineyards and tasting their wine was a great experience. I remember AVV’s first vintages from the mid 1970’s. And like me, they grew up and got better with the years. If it’s been a while since you remember tasting Alexander Valley Wines, I suggest a reunion is in order. You’ll not only be impressed with the quality of their wines but also deserving of self-congratulations for recognizing value. Follow Wine Mizer on Face Book for mini-reviews, recipes, fun facts and more.